Something to look forward to: If you are among the many gamers who were disappointed with the release of Bethesda's Fallout 76, Obsidian's latest game reveal might come as a breath of fresh air. 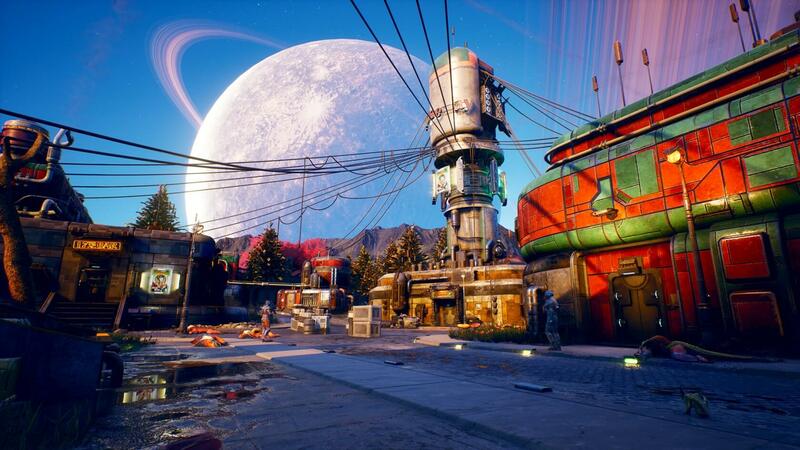 Dubbed The Outer Worlds, the game is an RPG in every sense of the word - there are perks, skill checks, an emphasis on player choice, and several companions to befriend. The annual Game Awards kicked off last night, and it's safe to say that 2019 is looking to be a pretty big year for the industry. Though many of the games revealed at the event were smaller indie titles or "AA" games, they made up for their lower budgets with unique settings, intriguing gameplay mechanics, and pure passion on the part of the developers speaking about them. One such game was The Outer Worlds, Obsidian's latest RPG. Set in a quirky sci-fi universe filled to the brim with humor, attractive vistas, and dangerous aliens, the game manages to blend elements of Fallout, Mass Effect, and even Bioshock into one package. The Outer Worlds is a singleplayer role-playing game in the truest sense, with a player-driven story, multiple pathways through missions, and skill checks galore. The game is not an open-world RPG, but rather a series of interconnected, smaller worlds and locations. However, based on the 15-minute gameplay demo we've seen so far, the environments look plenty open-ended already - or at least, they do a good job giving you the illusion of being open-ended. Players will be able to create their own unique character, but much like Cyberpunk 2077, The Outer Worlds takes place entirely in the first person. Unlike Cyberpunk 2077, it doesn't seem like there are any exceptions to that rule in the form of third-person cutscenes or a third-person vehicle camera. One of The Outer Worlds' more unique features is its "Flaws" system. Throughout the game, as players fight different monsters and make their way through various non-combat encounters, they can choose to take "Flaws," which hinder their character in some way while providing an extra perk point immediately. For example, if you continuously find yourself getting into scraps with Raptidons -- "vicious space dogs," as PC Gamer describes them -- you'll get a pop-up allowing you to take the "Raptiphobia" perk." In theory, this should incentivize deeper role-playing. For the unaware, this game is being developed by the same folks who created Fallout: New Vegas, as well as Fallout 1 & 2 (in other words, all the non-Bethesda Fallouts). That should give you a pretty good indication about the level of player choice lead developers Tim Cain and Leonard Boyarsky are aiming for with the game's full release sometime in 2019. The Outer Worlds is not available for pre-order yet, and it doesn't have a specific release date. However, we're certainly looking forward to it, and we'll keep you updated as we learn more about the title over the coming months. For now, you can keep track of the game's progress by checking out its dedicated Steam store page.